When Riot fails to deliver, League fans step up. 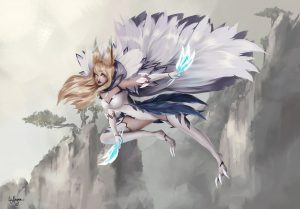 Last week, Riot Games revealed the Invictus Gaming World Championship skins. And while a Rakan was present, there was no Xayah to back him up, with IG instead choosing Kai’Sa. 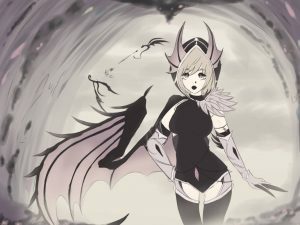 Needless to say, the League community was a little upset by the news, especially since Riot previoulsy said that Xayah and Rakan would receive matching skins moving forward, which held true until now. 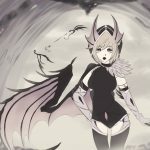 With an IG Xayah nowhere in sight, fans instead felt it was their duty to create concept art of what she would look like instead— and some of them are pretty stunning. One of the first images to really go viral is lizrichmond’s take on what Invictus Gaming Xayah would look like. Using the distinctive golden hair and even somewhat copying IG Rakan’s pose, lizrichmond’s artwork captures the original Riot artwork beautifully while adding their own distinct flair. 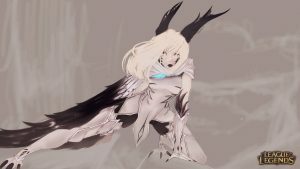 The artist Saphira over on Deviant Art went a bit overkill by designing two different types of IG skins for Xayah with a little bit of demonic influence in their designs. 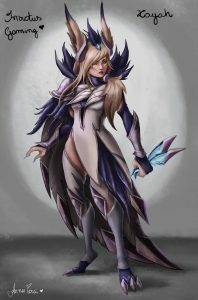 AnnaPerci’s take on IG Xayah is a little darker than her artist counterparts—the purple really stands out from the IG silver. It is a darker approach and really lets Xayah pop out and distinguish herself against the other IG champions. 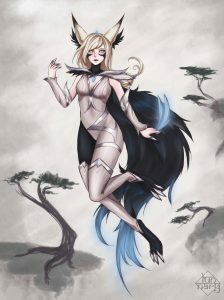 Lastly, LunnaryArt’s take on Xayah follows a lot of the other ones on offer but with a more simple costume design, giving her a dark tone to make her almost feel like an outcast from the group— considering Riot never created her.